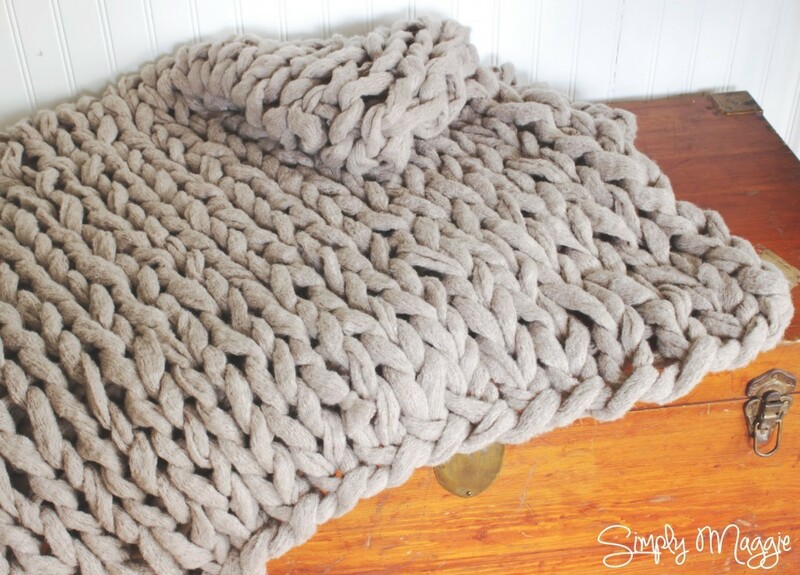 All it takes is a little bit of your time- 45 minutes more precisely, to make this awesome chunky style blanket. I find arm knitting fascinating, amazing ad revolutionary. Watch Simply Maggie showing us the fastest way to knit a chunky style blanket. This blanket is knit with your arms, no needles are required. I crochet. Where can I get the yarn and hook from to make this blanket?